Hamburg's DIF project short for: Deutsch Iranische-Freundschaft which translates as German-Iranian Friendship is back with a new single outing, put on the circuit via the hanseatic imprint Tach & Nacht these days. 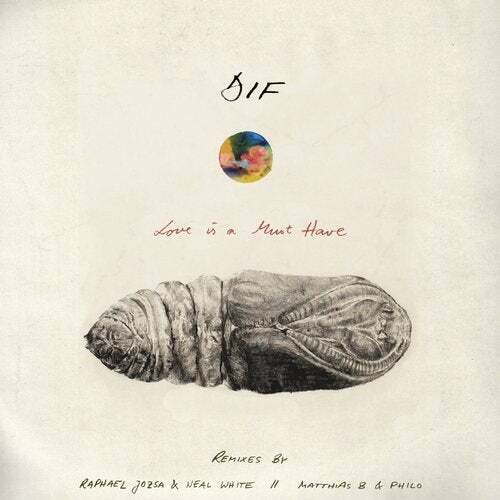 With Love Is A Must Have, the title track and opener of this single - we see the duo Bardia Salour and Benjamin Eisenbeiss, both involved in underground electronic music circles as solo artists as well as in several collaborational efforts for long, explore deep electronic realms. Dub-informed sounds meet complex beat abstractions in the opening sequence before a pumping, muscular 44 foundation paves the way for a stripped down, multi-layered late night Techno workout.Following up is Styx, another original production from the DIF studio vaults which keeps up with the stripped down, tripping and detailed trademark sound the project provides in all of their productions. Yet, this tune aims at a more buzzing peaktime dancefloor with luscious drums, sharp hi-hats, spaced out vocal bits and what seems to be obscured, well-warped and stretched pianos breaking through from another dimension.Remixing Love Is A Must Have the Hamburg-based artists Raphael Josza and Neal White come up with their very own interpretation of the title track. The production team is turning things upside down to provide well functional crossbreed of classic MinimalHouse and DubTechno, slowly building up to a sweet climax that's about to move crowds whenever hammered through a decent P.A. for a reason.Finally Matthias B. & Philo are providing a different view on Love Is A Must Have with their rework, going deep into Techno from the start, weighing in a well familiar melody sequence hidden in the very background of the mix whilst harsh, metallic, scarcely scattered sound fragments add a new level of electronic abstraction. On top of that hauntingly morphed vocals provide an eerie athmosphere for the darkest hours of the night.